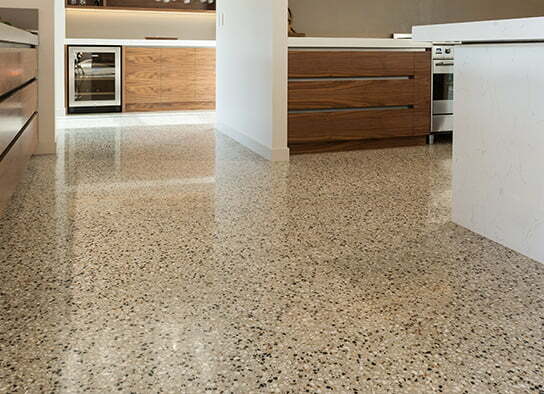 Concrete used to be a boring choice for flooring, but not anymore. The innovative technologies and materials used in the decorative concrete industry provide an infinite selection of unique and stunning flooring options that are the perfect match for almost any area of the home. 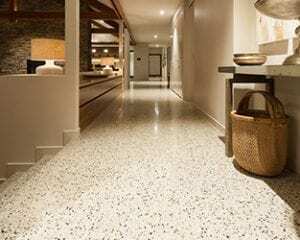 Concrete floors are very durable and extremely resilient, making them a low maintenance versatile flooring solution for indoor use. Pets claws, high heels and furniture legs will cause no damage to your floor unlike many other flooring options available. Concrete flooring is also very easy to maintain. Making sure your floor looks its best will only require a small amount of maintenance on your part. In most cases, a simple microfiber mop and water will suffice. PH neutral cleaners can also be added to the water if required. When it comes to design, there is a large selection of colours and designs to choose from. Different types of aggregates can be added to the mix in order to create a unique finish. In a business environment, company logos can also be placed on the concrete in entrance ways to add that wow factor! 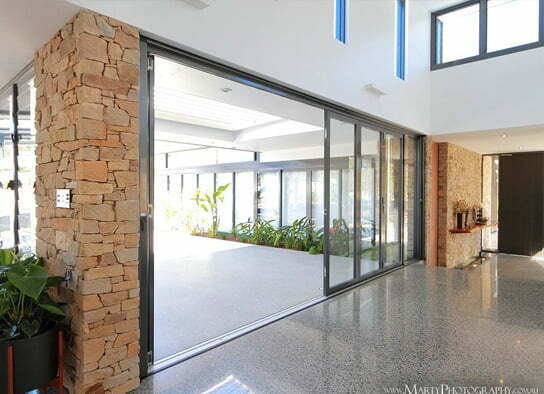 You can also maintain the simplicity and beauty of the natural concrete and opt for the ever-popular polished concrete. 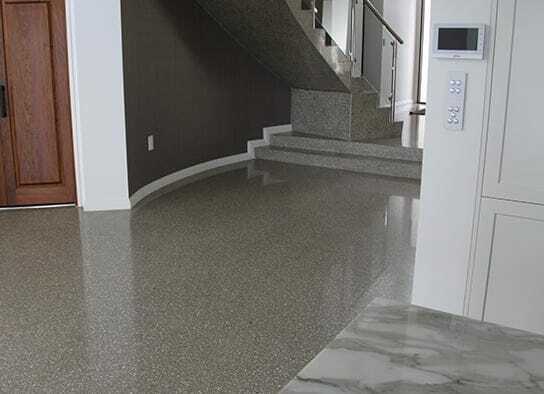 Some advantages of every polished concrete floor include its unique finish, no two floors are the same. Every floor will reflect the environment it is in and will look different throughout the day making it a surface you will never get tired of. The options are limitless. 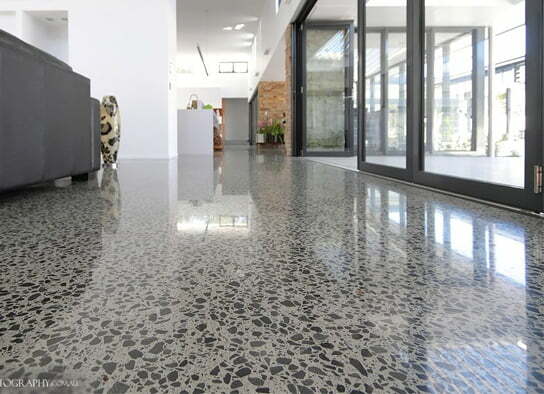 Have a look at some of our award-winning polished concrete floors in the gallery below. Adding a concrete surface around your pool is a safe and attractive non-slip option for your pool and pool surround. With many colours, aggregates and finishes available, you can create a stunning pool area. You can also reduce the temperature under your feet by choosing light colours for your concrete. Take a look at our outdoor residential concreting solutions.